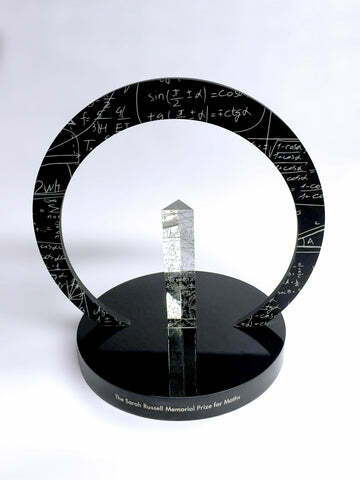 Take one team of dedicated award makers, multiply by a team of designers and add in a sprinkle of magic, what do you have? 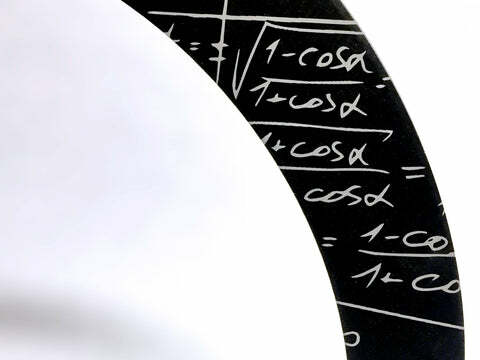 The Algebra Award. 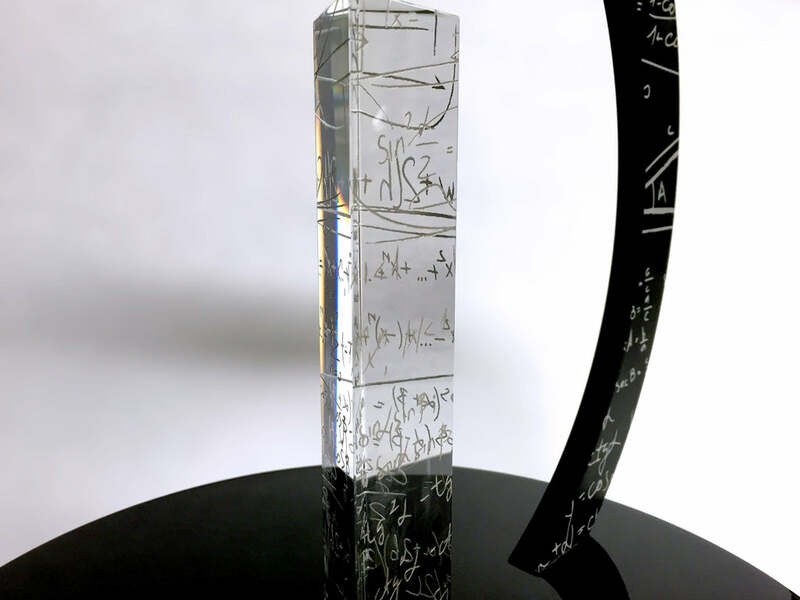 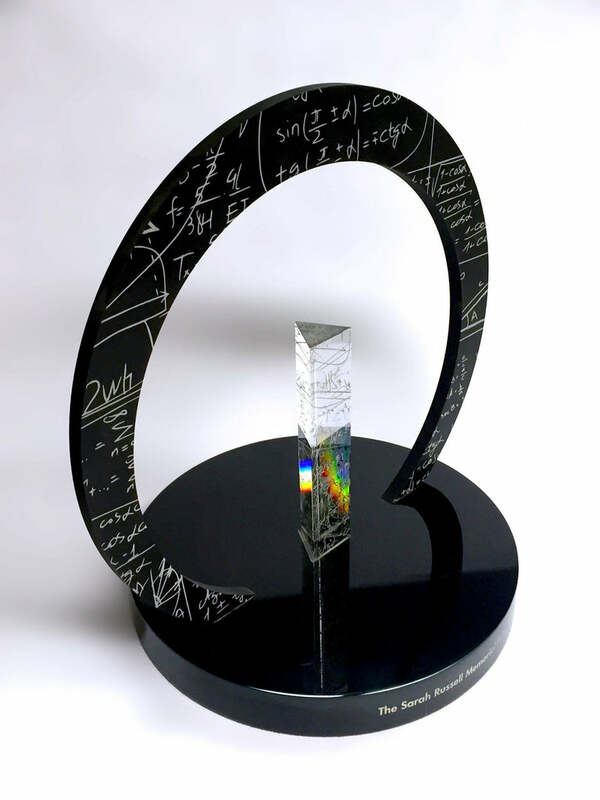 This bespoke creation celebrates all that is algebra with a custom made acrylic arc engraved with equations (do you recognise any of them?) Inside the arc sits a triangular glass prism that represents the clarity and function of algebra. 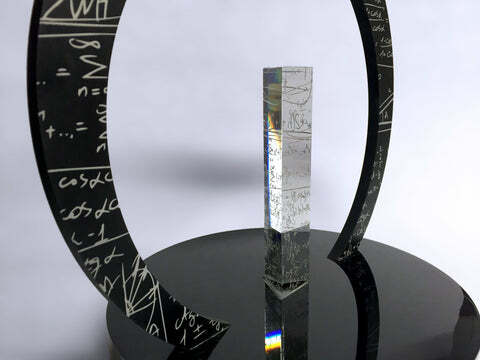 To finish, the bespoke trophy rests upon a hand engraved custom cut thick black acrylic base.